We have 70 adventure games in our database that start with the I. If you're looking for a specific game, try using our adventure game search page. You're currently on page 1 (of 6). In 2004, Warren Blake cornered ‘The Abacus’, a serial killer who had terrorized the unsuspecting residents of Woodport with his seemingly random acts of violence. In the never-ending autumn rain of modern day Maine, Henry fights to keep things above water, juggling his struggling career in medical research and caring for his terminally ill wife. 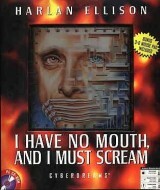 Five damned souls: buried deep within the center of the earth, trapped in the bowels of an insane computer for the past hundred and nine years. In this three-part adventure set in 19th century Louisiana, 11-year-old Joshua works daily in the fields of the Gallaway plantation. In a long abandoned factory, a robot is reactivated. The factory is in danger due to a dangerous leak, and it is to him to fix it. You are Sir Jimothy Quest, a noble-but-ignorant knight-errant in the medieval kingdom of Dodotry. 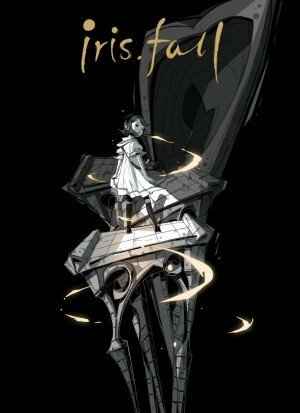 Illusion is a puzzle adventure game set in the ambience of the early 1920s Parisian cabaret. A Jewish boy named Samuel lives in Paris during the Second World War. On July 16, 1942 the Vel’ d’Hiv Roundup takes place, and Samuel’s mother tells him to escape the city. 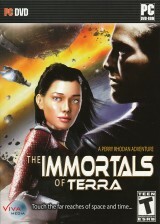 The Immortals of Terra is an epic space adventure set in 1346 New Galactic Era, 4934 AD, starring Perry Rhodan. Impostor Factory will be familiar to fans of To the Moon and Finding Paradise, but in a stark shift from the developer’s past story structure style, players will take part in a time-resetting thriller-mystery that involves a series of bloody murders. Iris.Fall emerges from the shadows with challenging puzzles and beautiful art direction. Its streamlined gameplay may not always match the impeccable quality of its presentation, but this is unquestionably an adventure that deserves to be undertaken by puzzle fanatics.